— Increases the foreign buyers tax from 15 to 20% and expands it to areas outside of Vancouver as it will apply to the Fraser Valley, central Okanagan and the Nanaimo and Capital regional districts, which includes Victoria. 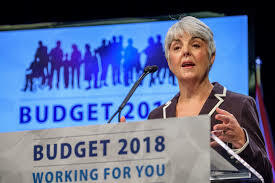 — Introduces a speculation tax in the fall of 2018 that will be levied as an annual property tax on foreign and domestic homeowners who don’t pay income taxes in B.C. It will initially apply to Metro Vancouver, Fraser Valley the Capital and Nanaimo regional districts, Kelowna and West Kelowna. — Increases the property transfer tax and school tax on the value of homes over $3 million. — Cracks down on tax fraud and closes real estate loopholes including contract assignments in the condo pre-sale market, where people sell and resell multiple times before a unit is lived in, inflating the price and avoiding taxes. — Makes a $6 billion investment in affordable housing and increases rental grants for some elderly renters and low-income families. We are curious about your thoughts so let us know what you think - We are here to help.